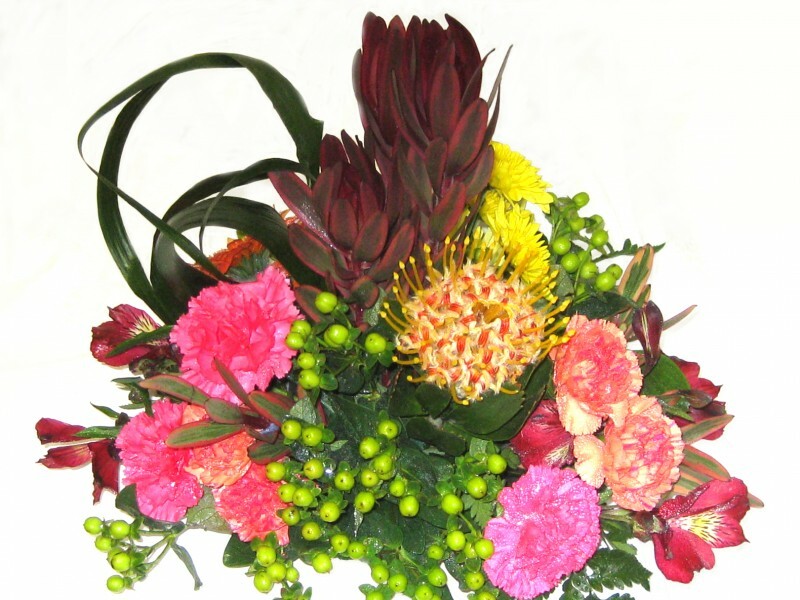 Exotic floral arrangements, to me, can mean two things. 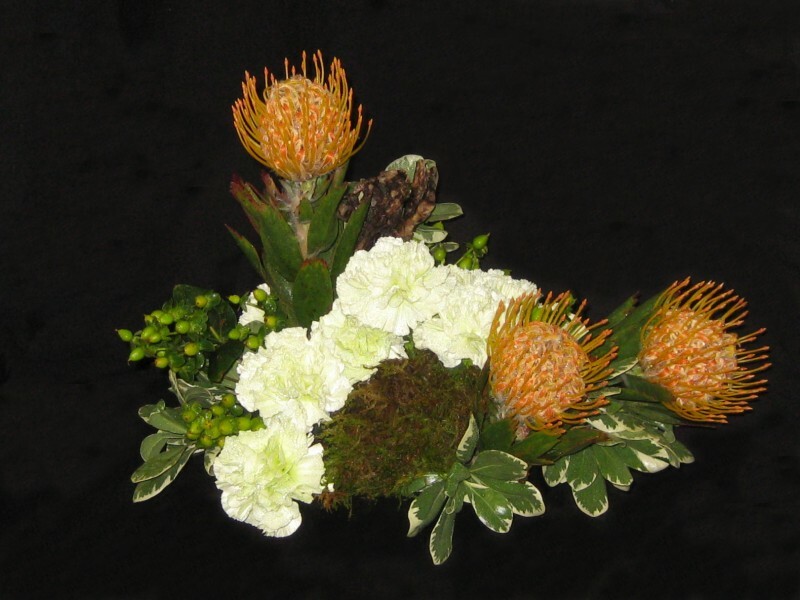 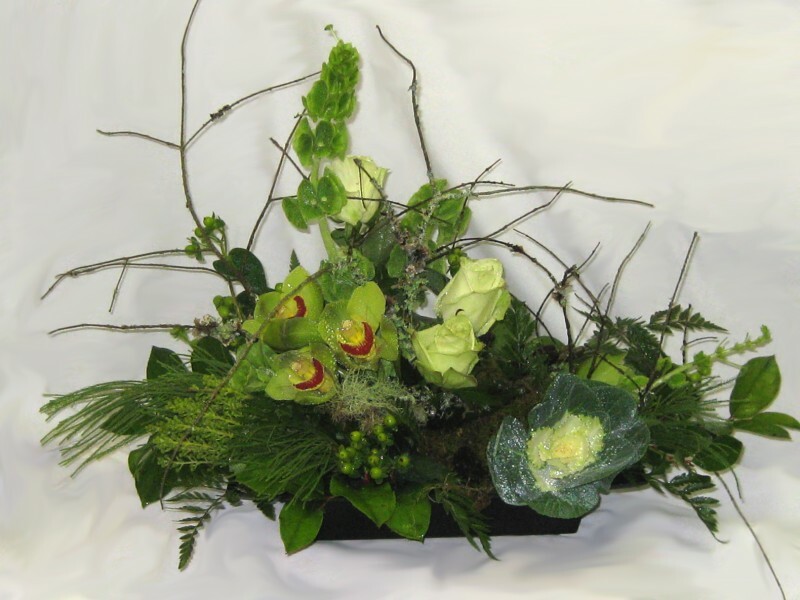 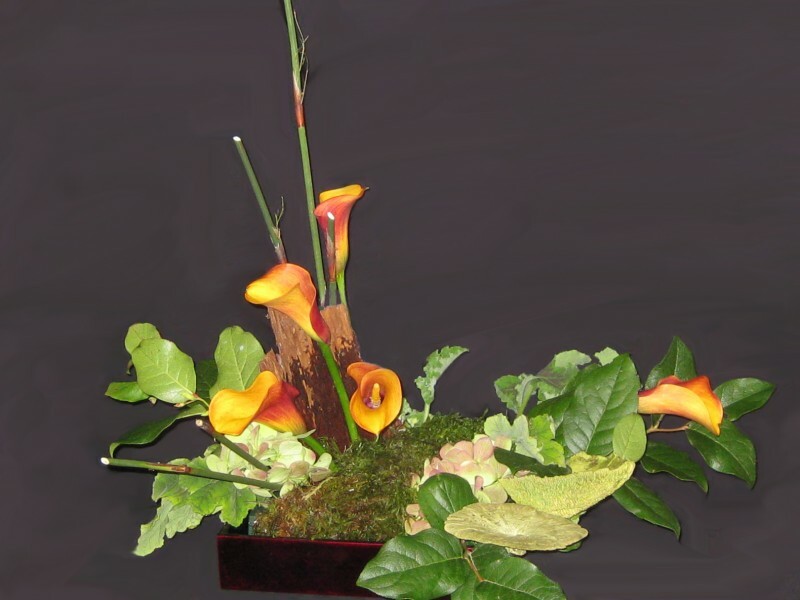 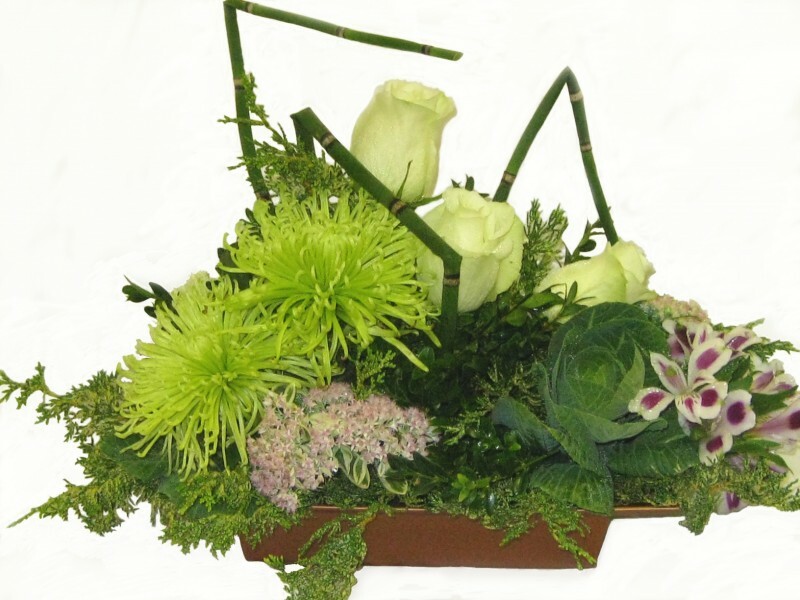 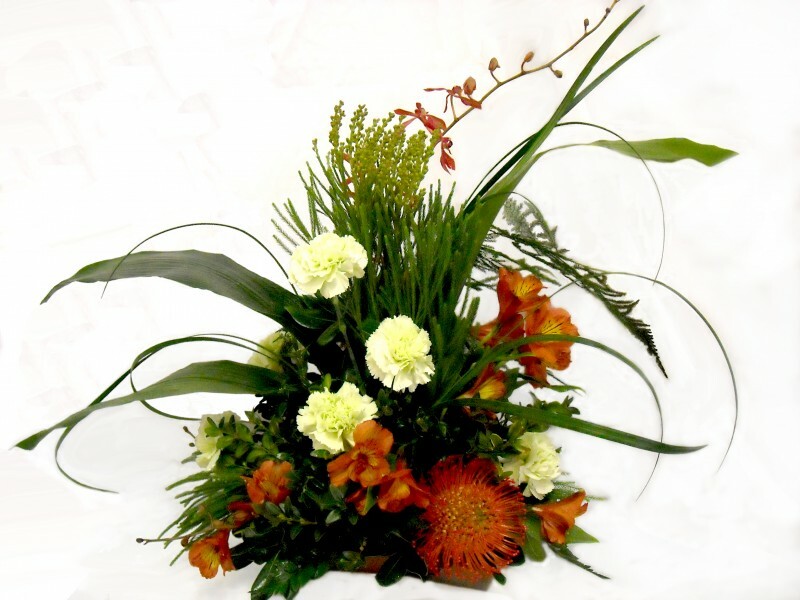 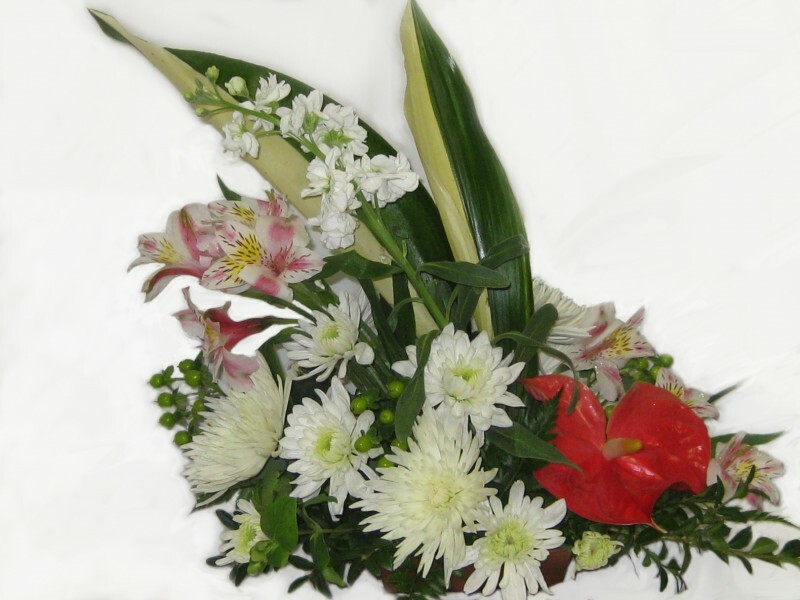 Exotic flowers like ginger, orchids, and antherium can be used. 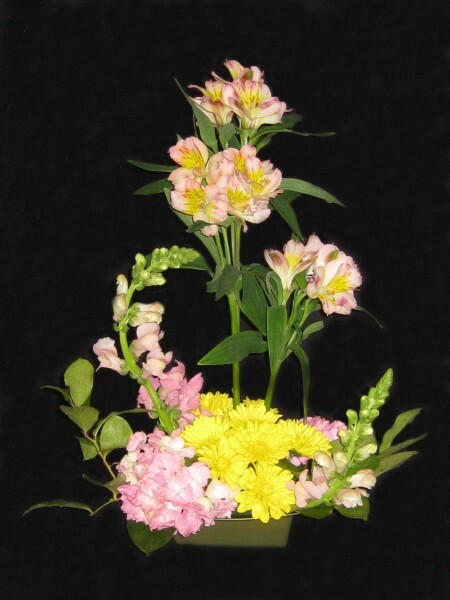 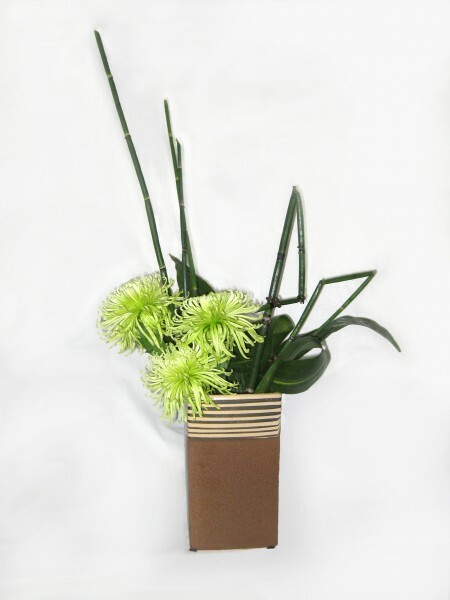 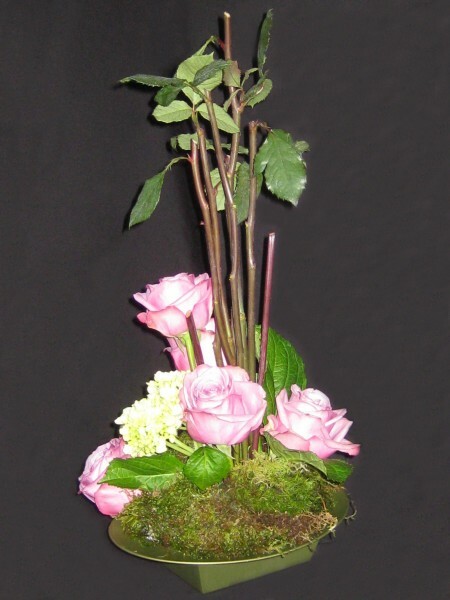 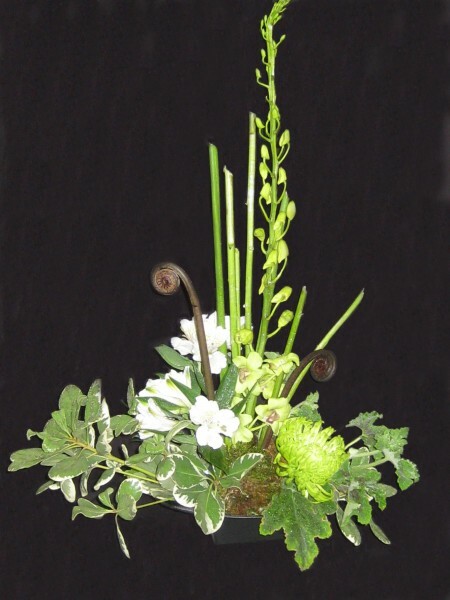 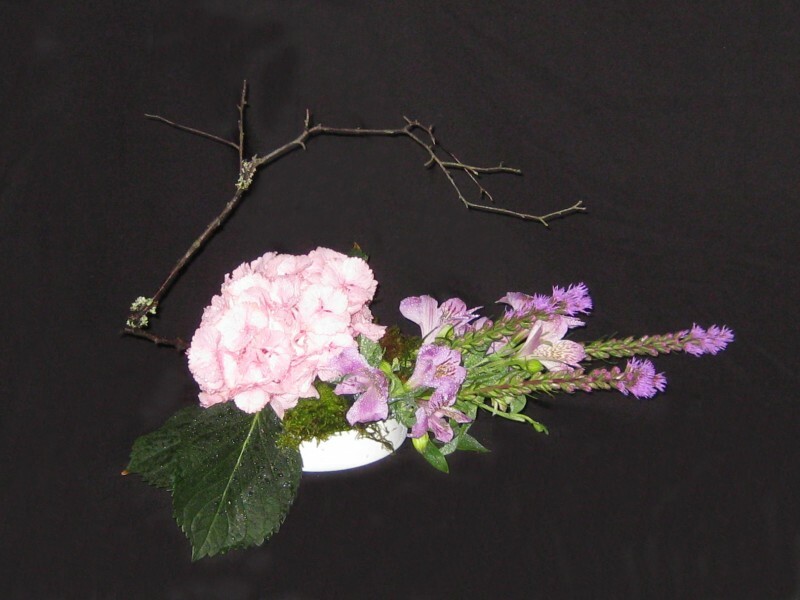 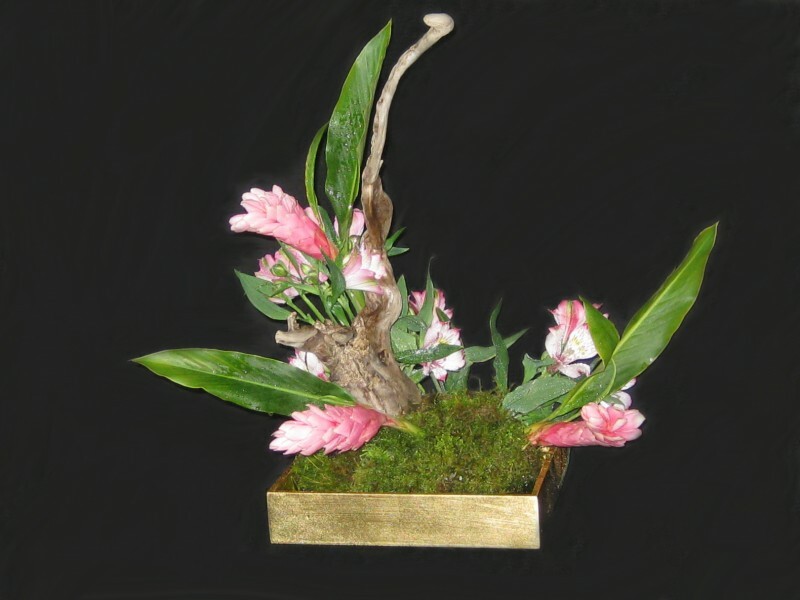 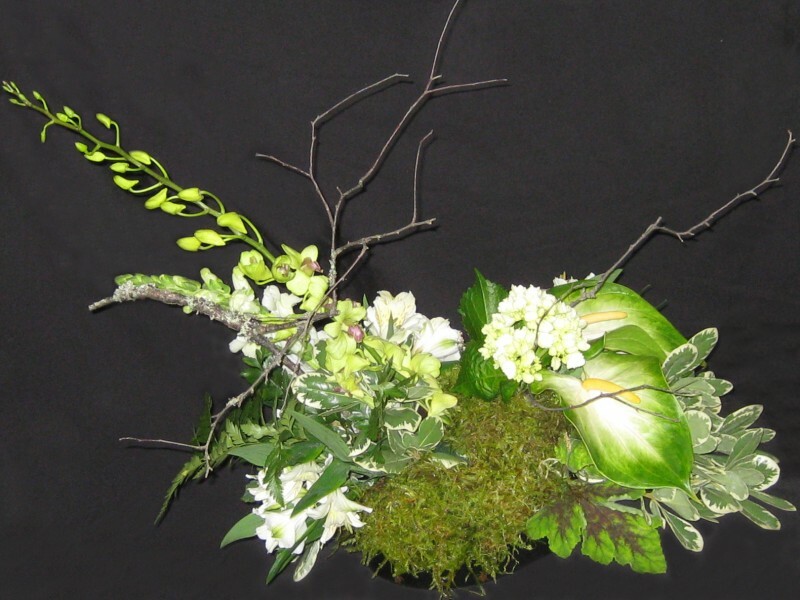 The design is usually asymetrical and adheres more to the premises found in Ikebana and Chinese design. This work has become very contemporary in design rather than adhering strictly to the old masters special schools of thought. 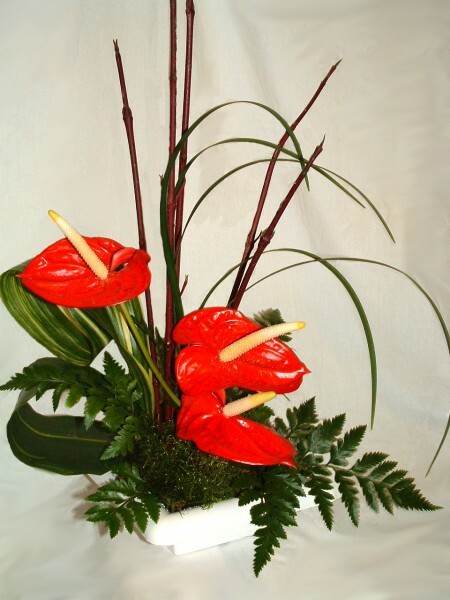 These designs are usually simple and elegant.